If you’re a geek, why not make it a statement? There’s no shame in being proud of who you are. Say it loud, say it proud. You’re a gamer. You’re a geek. And we love you for who you are. Decorate your car, your laptop or even yourself in pure, unadulterated pixels. Just you, your geek, and your heart. That’s how Geek Love is. And believe me, I know. I married one. Find this bumper sticker and more at our sister site! Buttons, t-shirts, caps, mousepads, even a BBQ apron! Visit us by clicking HERE! 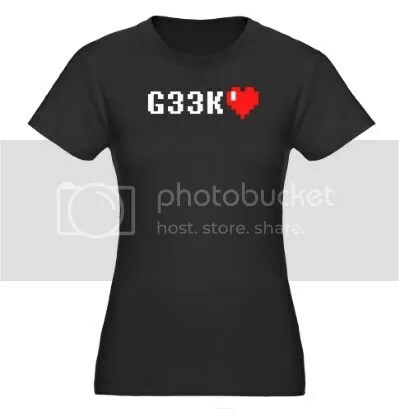 If you’re a geek, why not make it a statement? There’s no shame in being proud of who you are, or in this case, who your little one will turn out to be. Say it loud, say it proud. You’re a gamer. You’re a geek. And we love you for who you are. 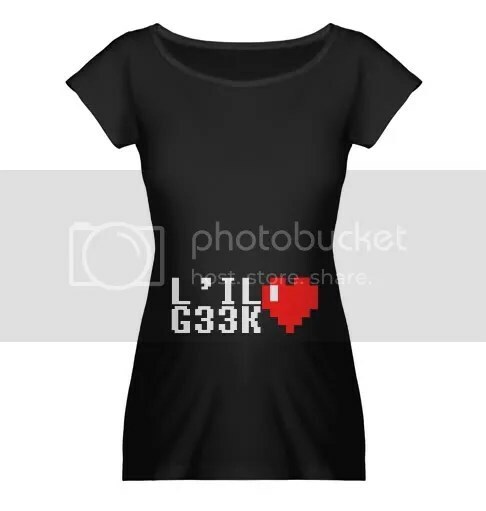 Clothe and adorn yourself in pure, unadulterated pixels. Just yourself, your geek, and your heart. That’s how Geek Love is. And believe me, I know. I married one. Find this t-shirt and more at our sister site! Buttons, bumper stickers, caps, mousepads, even a BBQ apron! Visit us by clicking HERE!